From small repairs to roads with curb and gutter, we have the personnel and equipment to get the job done. 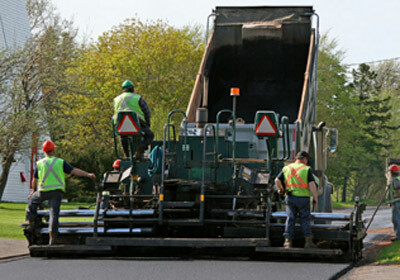 We patch, overlay, remove & replace and construct new asphalt. We also do stamped and colored asphalt. Concrete flatwork, curb, gutter, sidewalks, ramps and walls are part of the full service that we offer. Exposed aggergate, salt, colored, stamped and specialized designs are available.